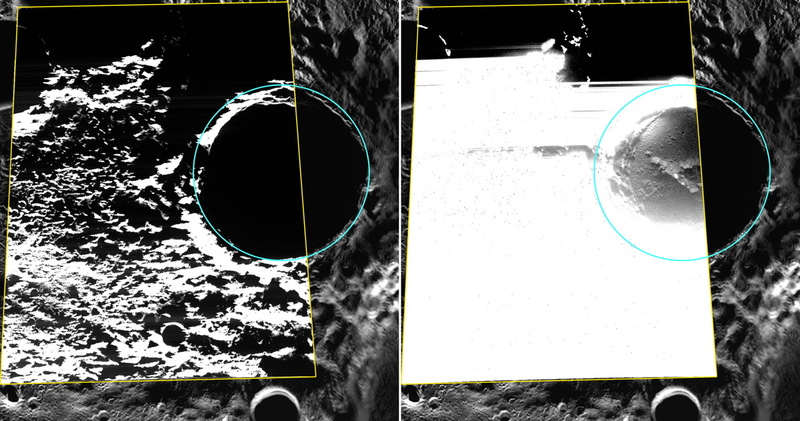 "There is a lot new to be learned by seeing the deposits," said study lead author Nancy Chabot, instrument scientist for MESSENGER's Mercury Dual Imaging System and a researcher at the Johns Hopkins University Applied Physics Laboratory in Laurel, Maryland, in a statement. "This result was a little surprising, because sharp boundaries indicate that the volatile deposits at Mercury's poles are geologically young, relative to the time scale for lateral mixing by impacts," Chabot said. The new study was published online Oct. 15 in the journal Geology.